ALL DATES FOR THIS PROGRAM ARE NOW FULL! 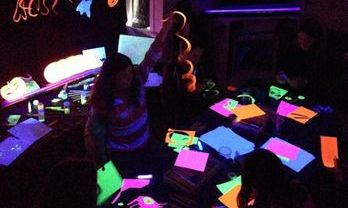 Join us for a fantastically fun day of glow-in-the-dark activities! Explore the fascinating world of phosphorescence, learn all about luminescence, fluorescence and find out how black lights work at this awesome event! 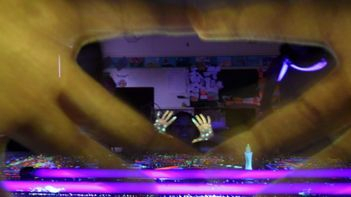 Kids will get to create fluorescent substances and glowing reactions, make "exploding stars", capture shadows, erupt glowing volcanoes and make their very own pink, blue, orange or green glowing "slime" and a UV bead necklace to take home! Please send your child with a lunch and drink. This is one of our most popular events, so register early!